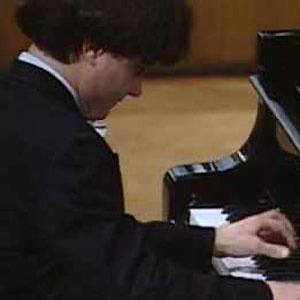 Shot to fame after winning the 1989 Eighth Van Cliburn International Piano Competition when he was only 19. He started piano lessons at the age of six under the tutelage of Tamara Popovich. He was loved by audiences, but controversial among his peers, with one critic saying there was no middle ground in opinions of his work. His left side was paralyzed after a 2001 stroke. He continued playing with his right hand, while his wife Dace Abele accompanied him with her left hand. He appeared on Late Night with David Letterman in the late eighties.